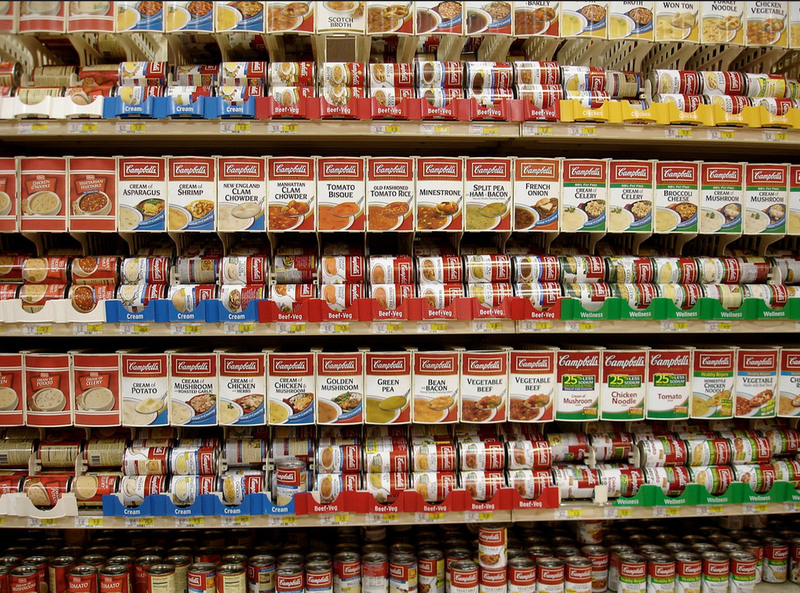 People aren’t buying as much canned soup as they used to. Whether it’s because meals with a cream of mushroom base have gone out of style or people have left for other brands, Campbell’s canned soups aren’t selling like they used to. That’s why Campbell Soup Company is reorganizing its business to focus on lines of food other than soup. Instead of organizing itself by geographic regions or by brand, the company will organize itself according to food type. Campbell owns some brands that you might not have associated with the company, like Bolthouse Farm vegetables, Pepperidge Farm, Plum Organics baby food, Prego pasta sauce, Spaghetti-Os, and V8. The company will now organize itself into divisions in charge of packaged meals and beverages, cookies and snacks, and fresh packaged produce. It’s not that people aren’t eating soup, but Americans are switching to store brands or to smaller gourmet or organic brands of packaged soup. Campbell’s has tried to compete with other brands, but an attempt to reach young foodies with $3 plastic pouches of soup that isn’t organic, gluten-free, or vegan didn’t really succeed.